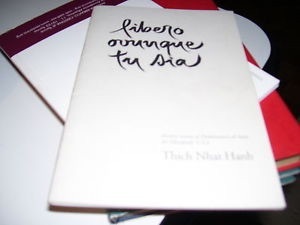 Posted on 11/08/2015, in Buddism and tagged hanh, Libero, Nhat, ovunque, Tich. Bookmark the permalink. Leave a comment.